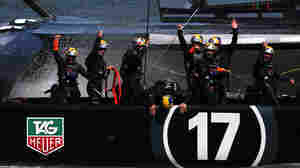 September 25, 2013  The win by the U.S. defender, down seven races just a week ago, caps one of the most spectacular comebacks in yachting history. 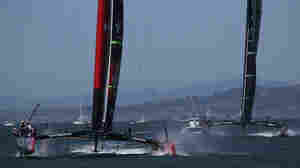 September 23, 2013  Last week, it looked bleak for defending champion Oracle Team USA, but flukey wind and better tactics have kept them in the running against Emirates Team New Zealand. 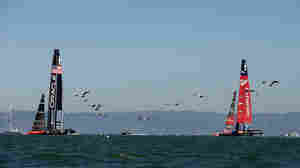 September 18, 2013  After sailing was canceled on Tuesday because of high winds, the giant 72-foot catamarans face off for their 12th race in San Francisco. 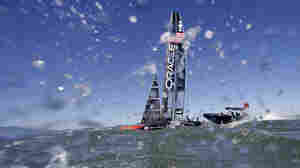 September 17, 2013  The 2013 America's Cup isn't just about speed demons racing faster than the wind. These days, the 162-year-old international sailing competition is being powered by supercomputers. Tech teams are crunching the numbers to make small changes that mean a big difference in speed.